Ranching here in Nebraska is all about working with nature. 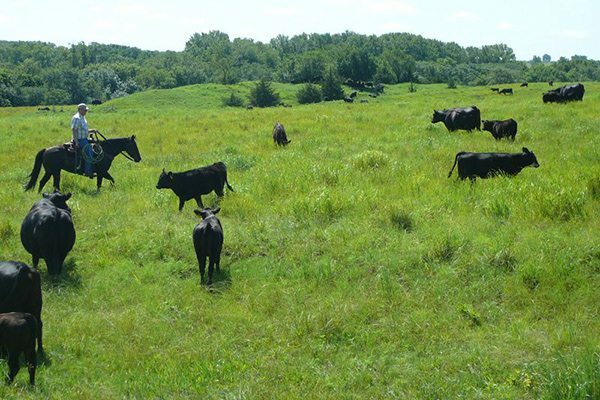 Optimal wildlife habitat and prime ranchland pasture don’t just happen overnight.  For several generations, Big Blue Ranch management has protected and improved the soil, water and grassland resources on this working Nebraska cattle ranch by using conservation practices that work with nature. 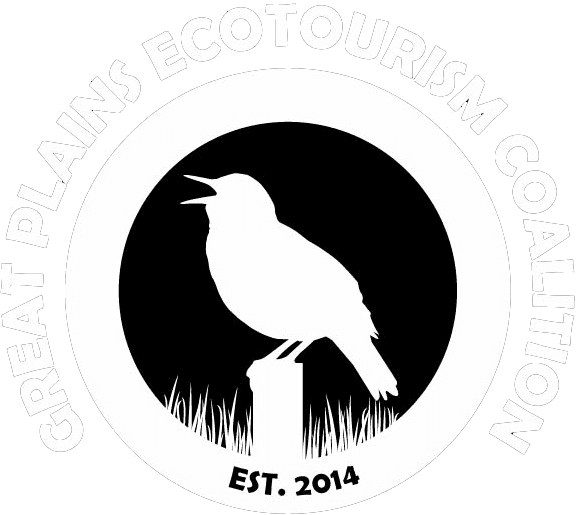 The ranch has been nominated and won the Rangeland Conservation Award from the Lower Big Blue Natural Resources District. 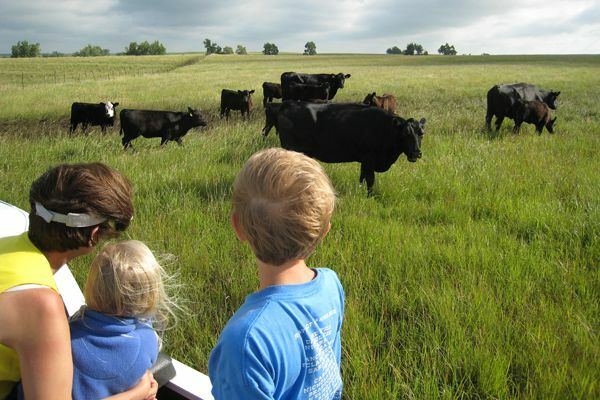 The University of Nebraska holds an annual class on the ranch to help students develop ranch management plans and also works in conjunction with agricultural product companies by establishing test plots on the ranch. In the past, windmills drew water from below the surface pumping water for cattle to drink from tanks. For larger herds, windmills are an unreliable source of water. Erosion on the rolling hills is reduced by building ponds in natural draws, with the added benefit of providing more water sources for both livestock and wildlife. The soil was influenced by glacial formation and virgin tall grass prairies that are as old as dirt. 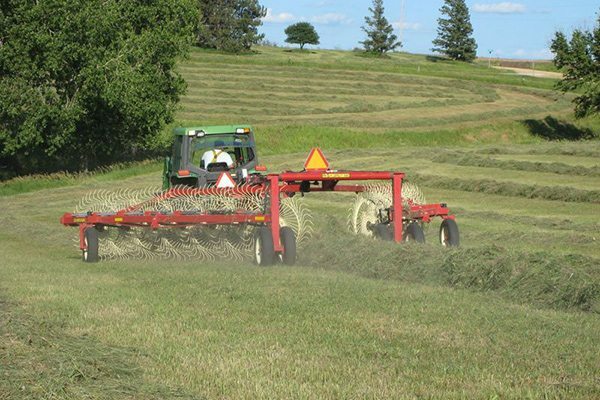 Pastures on the Big Blue Ranch have been improved by interseeding legumes, such as red clover, in both warm season native prairies as well as planting them in pastures with primarily cool season grasses. The legumes produce natural fertilizers to boost grass growth and provide additional nutrients for cattle. The ranch is fenced and cross-fenced in approximate quarter section pastures. In order to maintain the health, diversity and production of the grass species, cattle are rotated to new pastures every three to five days. 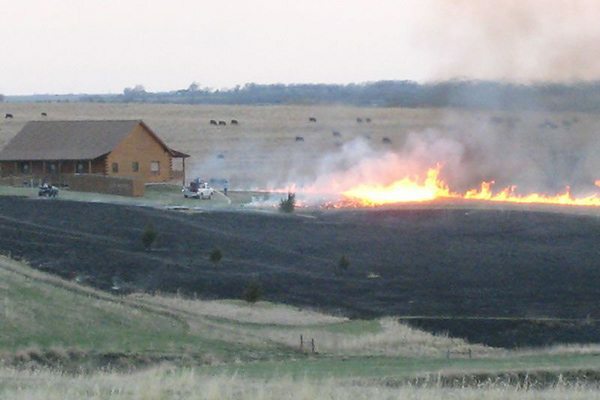 Prairie fires were a natural factor in nature, and controlled burning is used periodically to eliminate unwanted tree and brush growth that can sap moisture from the grasses and overtake the prairie lands if unchecked. This practice will help ensure that prime hunting habitat and fertile ranchland will continue to flourish. With the Homestead Act of 1862, early pioneers could stake out and own a free quarter section (160 acres) of land in five years by building a house, digging a well, plowing 10 acres for farming, fencing a specific area and actually living on the land. Their other option was to make a “tree claim” by planting and cultivating 10 acres of timber. On the Big Blue Ranch, you can see old homestead sites and very old rows of hedge trees (osage orange) planted by the pioneers. These gnarly hedge trees still provide habitat and food to wildlife. Natural woodlands have been preserved and provide shade for the cattle as well as habitat for many kinds of wildlife. For those interested in history, the Homestead National Monument is located just 40 minutes away and makes a great day trip. 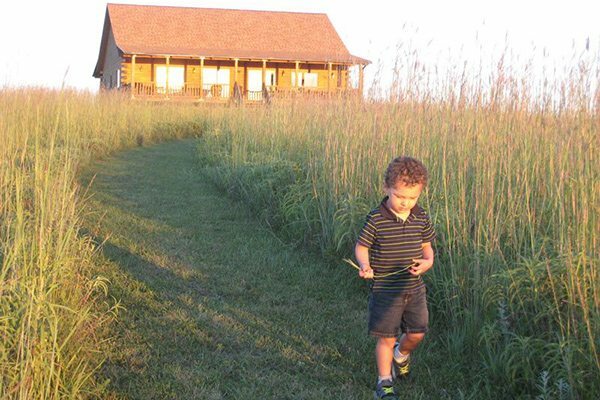 Big Blue Ranch offers it all: grasslands, timber, lakes, ponds and native wildlife. This diversity of habitat provides a home for many native species, including deer, turkey, raccoon, badger, ground squirrel, ground hog, red squirrel, coyote, skunk, fox, bobcat, shrew, fire flies, toads, leopard frogs and bull frogs as well as many types of birds including waterfowl.